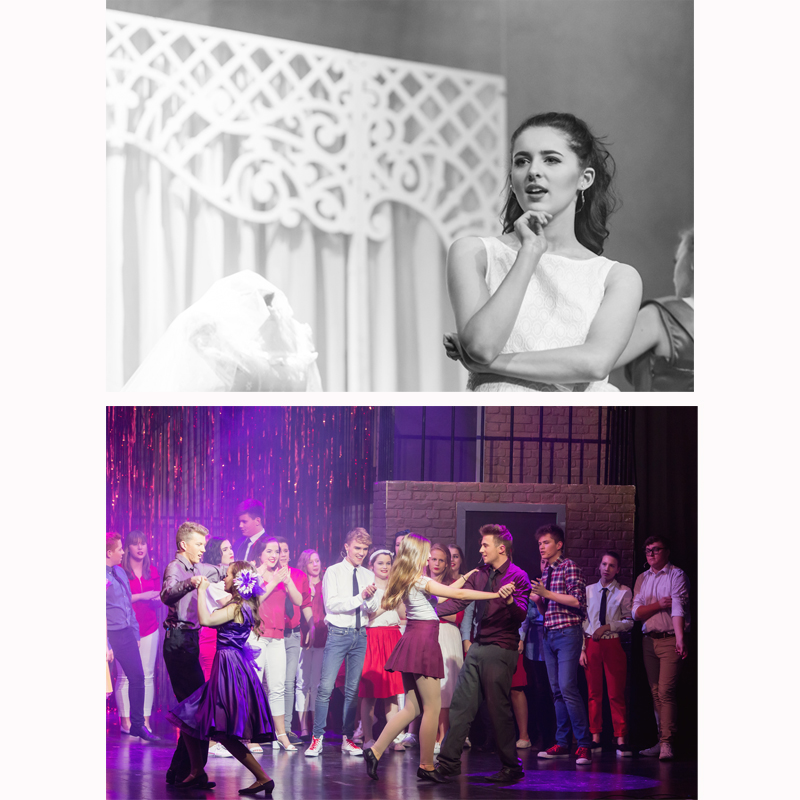 West Side Story Makes The Headlines! 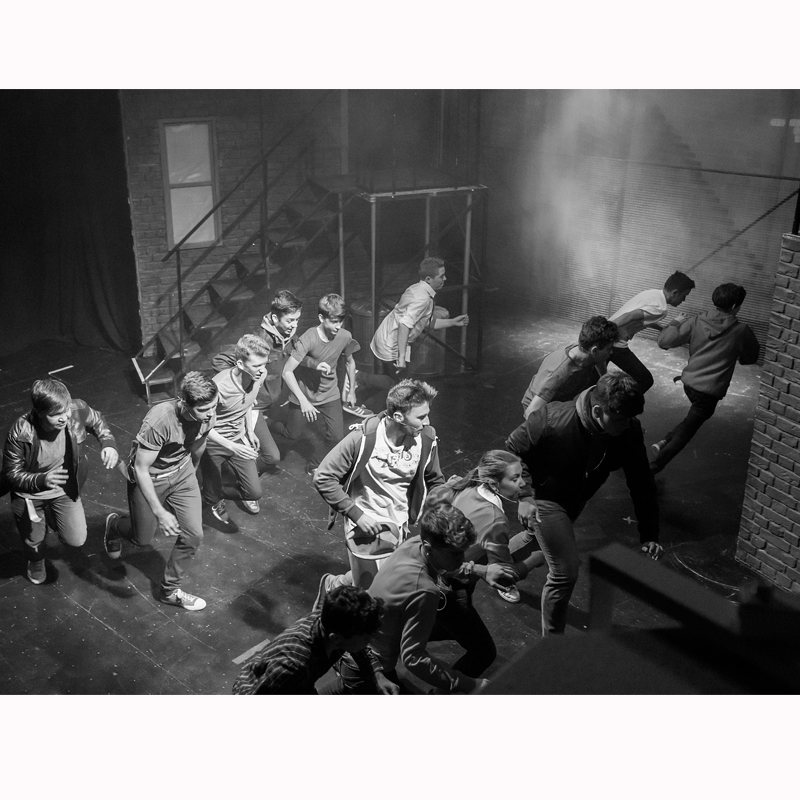 Earlier this month, Wellington pupils performed the classic Broadway musical, West Side Story. A week before the show, tickets for the third and final night were close to selling out with only a couple of seats left empty on the Friday evening! 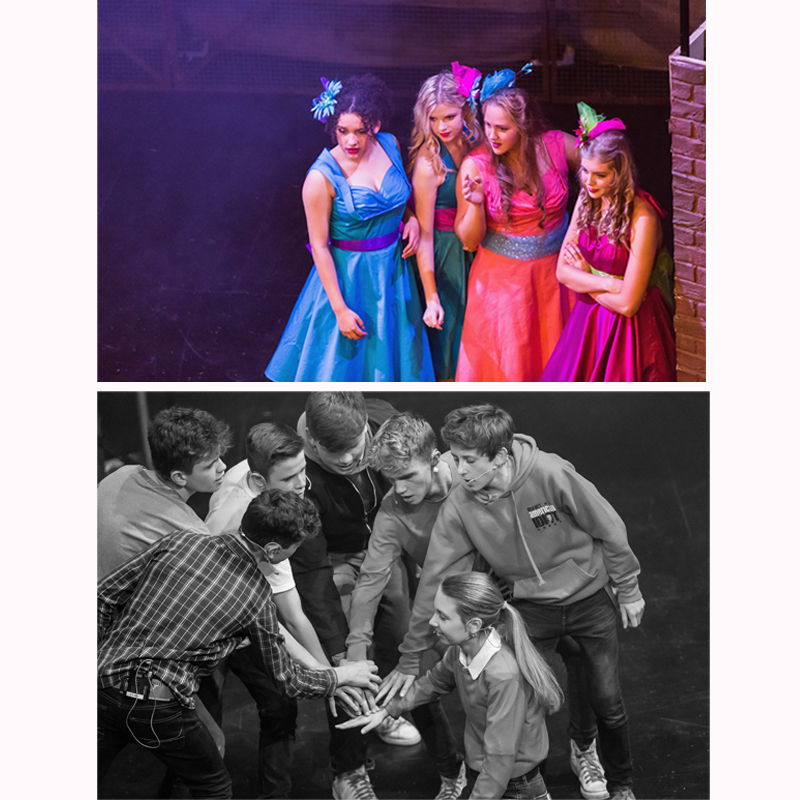 A great deal of effort goes into making Wellington School annual productions and the back catalogue is an impressive record of some of the most innovative and challenging musicals to have delighted audiences in London’s West End and on Broadway. 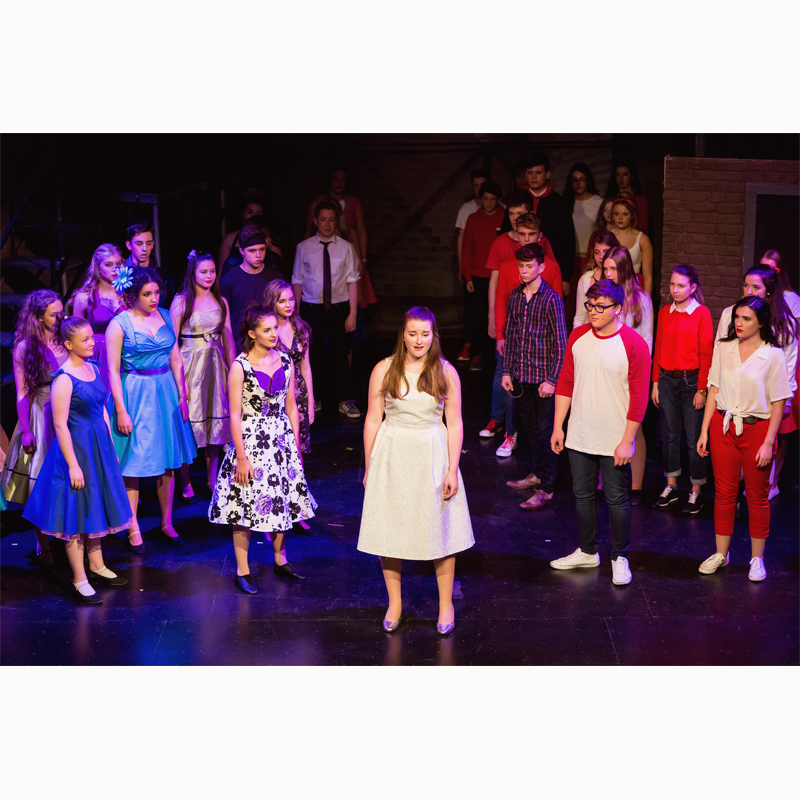 Recent productions from Wellington include Oklahoma, Gershwin’s Crazy for You and most recently, the eighties hit musical Chess. 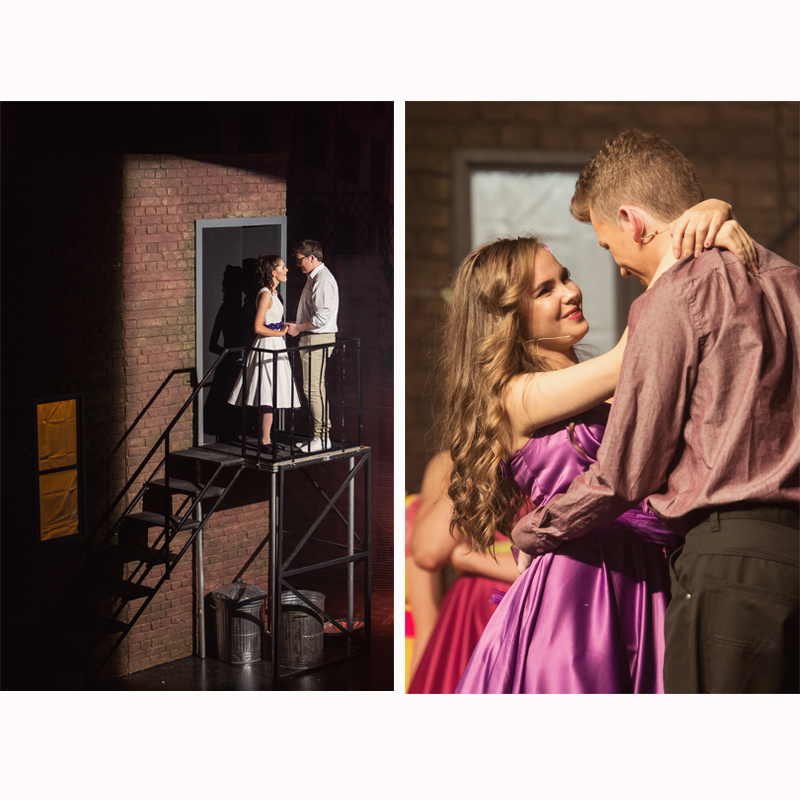 West Side Story is a refashioning of one of the most famous love stories of all time: Romeo and Juliet. In this modern tale, love blossoms out of racial tension and gang rivalry on the mean streets of New York. The New York ‘Jets’ and the Puerto Rican ‘Sharks’ are bitter enemies but when Tony (a Jet who wants to reform his ways) and Maria (whose brother, Bernardo, is the leader of the Sharks) fall in love, the gangs’ bitter feud takes an even nastier turn. 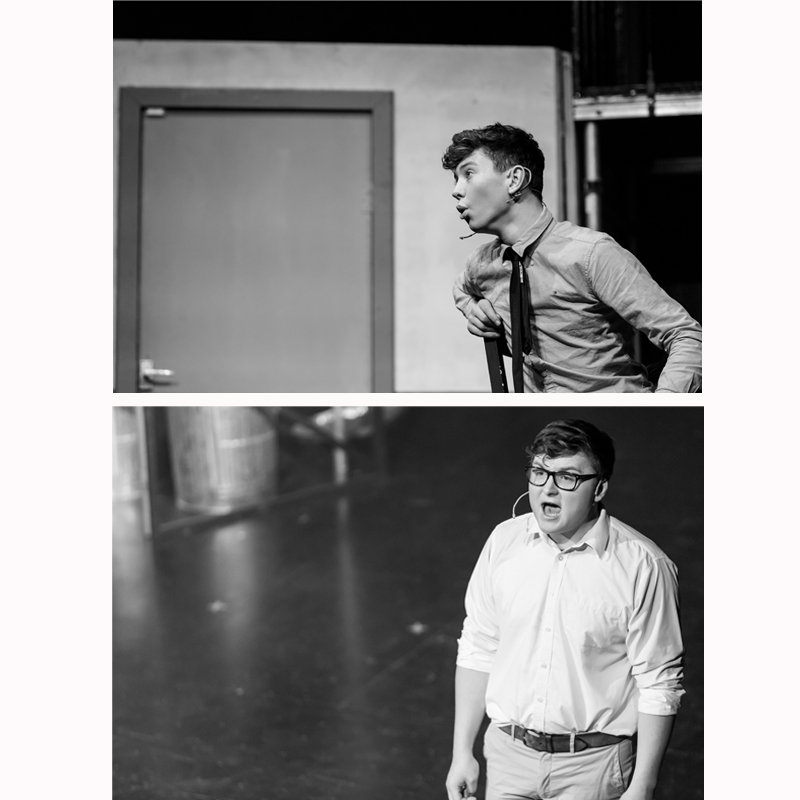 Tony, played by 6th year pupil Angus Brown and Maria, played by Holly Martin plan to run away together but the dramatic climax of the musical causes a heart-wrenching change in plan which many of you will be familiar with. 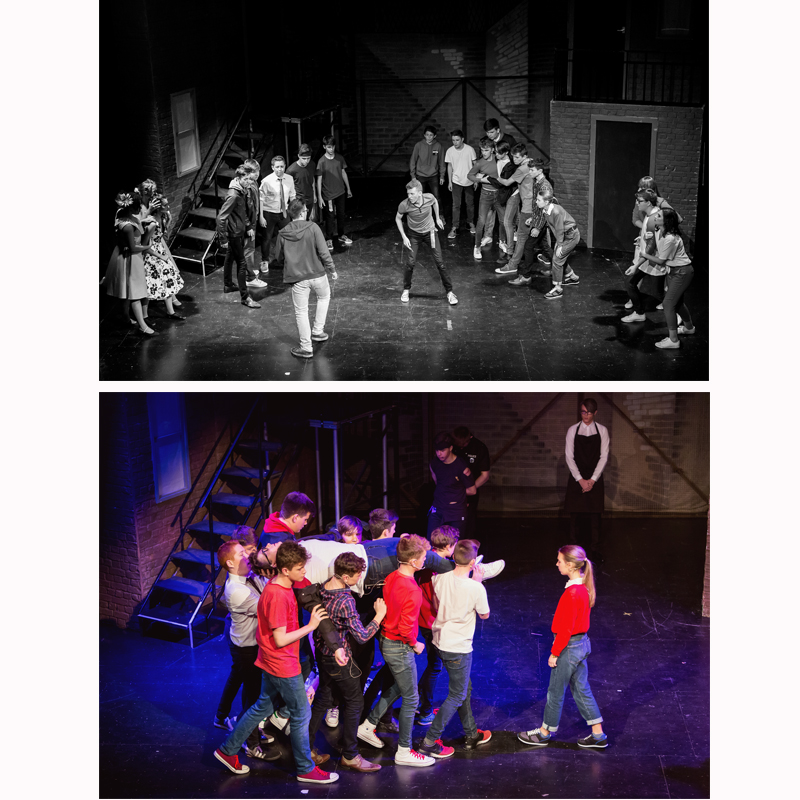 As a powerful play about love, hate, prejudice and forgiveness, West Side Story is still relevant in today’s society and Wellington pupils carried it off with aplomb. 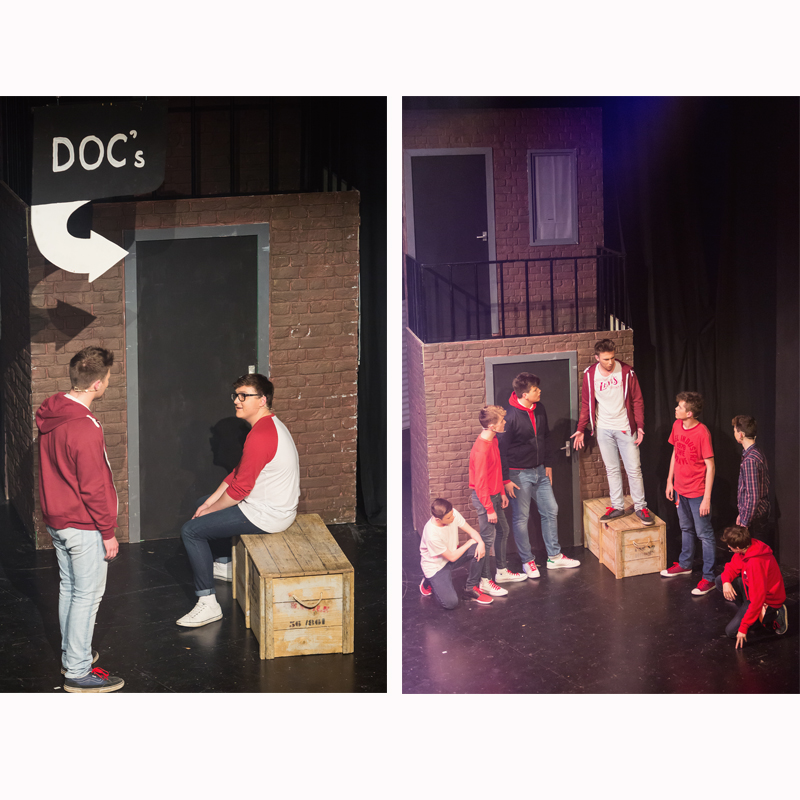 Pupils are heavily involved in all aspects of the show, not just acting and singing. 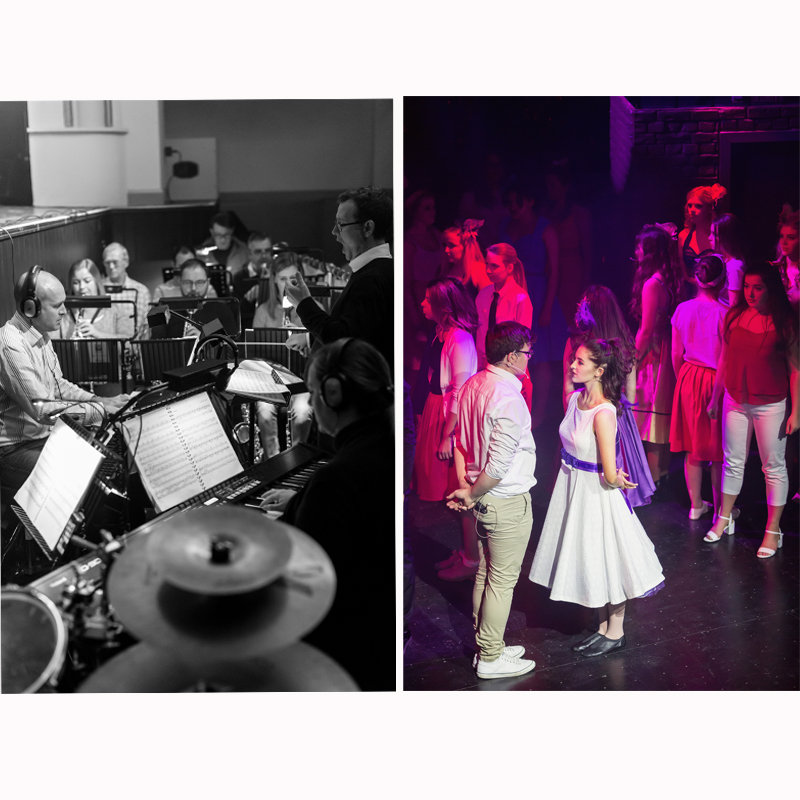 Many help with choreography, playing in the orchestra, costume design, programme design, photography and behind the scenes production. 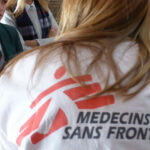 It is an invaluable learning experience for any pupil considering a career on (or behind!) 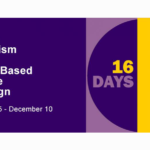 the stage and for those who get involved just for fun, it develops confidence and a range of life-long skills. We hope you managed to see the show, but if not, we hope you enjoy our photographs and remember, there’s always next year!